A Thanksgiving Feast Cooked in 10 Minutes? Done! Yes, it is possible to create an entire Thanksgiving dinner in 10 minutes. How? All month, I have been inundated with beautiful Thanksgiving images on magazines and websites. The food just looks glorious. But, the point of Thanksgiving isn't the food. So, I give you permission to order your dinner from the supermarket. My Whole Foods has an 8 person feast for $139 including turkey, mash potatoes, green beans, apple pie, gravy - everything you need to have a good meal. It won't be as delicious as if you cook it. But, if you are already working all WEEK and the thought of working all DAY on Thanksgiving is painful - don't cook. I promise no one will notice. I guess what I am saying is something that Della, Snack Girl reader, said to me back when things were really tough last summer. She said, "Love yourself more than anyone else." I don't think she meant be selfish and cruel to others. I think she is saying, "Be kind to yourself." BE KIND TO YOURSELF and enjoy your Thanksgiving. Okay, so after you order the meal, try the cranberry relish recipe below. You will have to find the "prepared horseradish" which is near the sour cream in the dairy section of your supermarket. This relish is so ridiculously easy and it is special. The sweetness of sugar, tartness of cranberries, the heat of the horseradish, and a little sour from the lemon take it into outer space. Paired with turkey, this will blow your mind. What are your Thanksgiving plans? Please share your thoughts on my 10 minute Thanksgiving. 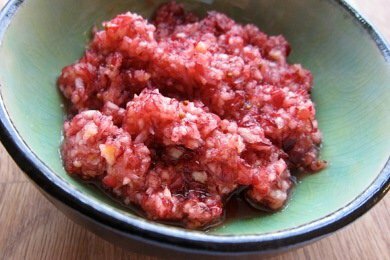 Chop cranberries and sugar in food processor. Put in bowl and mix in horseradish and lemon juice. Cover and put in refrigerator for at least one day. This relish can be made 3 days ahead and stores well. I make a cranberry relish that is just fresh cranberries and a semi drained can of pineapple. The process is the same as your recipe above. I usually taste and sometimes add a little sugar if the cranberries are too tart. So yummy! Well we (Hubby and three kids) have had a change in plans this year. We are going out to dinner with my Mom (who has Alzheimer's) three brothers and possibly my two nephews. I am looking forward to it. I have two turkeys in the freezer anyway. So I can make them another time. I do however, plan on making a Clean/Healthy Pumpkin Pie. I agree. Buy the dinner, if you want to add a few "special dishes" do it but don't slave the whole day over a stove/oven. Enjoy the day! I agree that people should never ever feel guilty for buying a premade dinner, but I enjoy the hustle and bustle of making holiday dinners. But I don't slave away all day, it's a family day in the kitchen that I really look forward to. My daughters are old enough 21,19,16,14 to be a great help with all aspects of making the meal and the boys, 24,22,9 are great dishwashers...lol! And it tastes soooo much better when you can make it all from scratch. You know exactly what is going into each dish and how fresh the ingredients are. Lol... I love making cranberry sauce, I'll have to try this. We have Thanksgiving at my aunts house and we all pitch in to help with cooking, cleaning and stuff. It is fun. Of course my aunt has the most work getting her house ready, she brines (sp??) the turkey, and she goes all out. She seems to enjoy it though. There are some funny things on our Thanksgiving/Christmas table that the family likes... One is canned cranberry sauce and the other is canned peas... I could do without both but I guess it is a sentimental thinkg for my aunts and uncle. My husband and I are new to the "empty nest" thing....only one daughter can make it home from college for Thanksgiving so we are ordering from Marie Callenders this year! I can't wait....family,great food, football and relaxing! We will have a huge homemade breakfast then be thankful for our effortless turkey dinner! I'm all for skipping the turkey and just tossing a gigantic ham in the oven. less prep, less worry, and it's delicious! How sad! The main point of Thanksgiving IS THE FOOD, it's a harvest festival after all. In my family we all help out in the kitchen, and thoroughly enjoy teaching and passing on our traditions to our little ones. If people weren't so quick to run to the fast-and-easy processed and prepared foods, grew and preserved more of their own food, practiced moderation, and got a little exercise every once in a while, then we'd all have something to be truely thankful for, and it wouldn't be low-calorie snacks.